You don't want to miss it! Join us in celebrating the Solar Eclipse 2017! 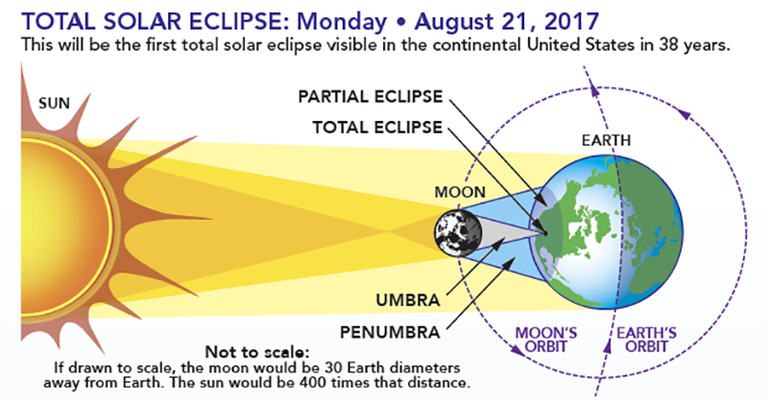 The Madison County Library is having a party in celebration of the Solar Eclipse on August 21st, 2017, from 12:00pm to 2:00pm. We will have safe, NASA approved viewing glasses available for free. Staring directly into the sun can blind you. So how do we look at the eclipse without hurting our eyes? We will have viewing glasses available here at our library. But if you don't have the chance to come to the party, Star_Net has some very good advice for us, along with instructions on how to make your own viewing device with supplies you have at home. This year's solar eclipse is the first visible eclipse in the United States in 38 years. Read more by visiting the Solar Eclipse NASA website.